The Road to Freedom – Joseph’s Story* is on shelves now and my newest release Even Salt Looks Like Sugar will be available at Tall Tales Book Shop within a week or so. For those of you who do not have the new book, I am offering you an opportunity to come out to this event and celebrate with me. I will have signed paperback copies of Even Salt Looks Like Sugar and I’ll also be reading from the book. This is also a great time for a Q&A session. Is there something you would have liked to see happen in the story? Do you have a favorite part? Least favorite part? Ask me all the questions you want! There will be light refreshments available so you can get your snack on too while I tell you a story (and then we can go out to dinner afterwards for some real food…. tee hee). Get a picture with me, or bring another book of mine you have to be signed. Either way, come on out and show some love! If you have not been to one of my signings yet, this is your chance! You know they be lit! It doesn’t matter which of my books you have, bring them to be signed! Not Subscribed to my email list? You may want to go ahead and do that before December. In our December issue, I am revealing my strategy for getting my books into stores as an Indie Author. We’ll discuss consignment, distribution through Ingram Spark or other platforms, and the review process if the store requires one. CLICK HERE TO SIGN-UP. You will get an automatic welcome email. Please check your Spam and Junk folder for it. ATL, don’t forget to stop through next week for Tinzley Bradford’s 4th Quarterly Settle-free Mixer! The time has come and I am honored to be among such talented professionals. Self-care and self-love is soo important and we are talking about that and so much more. If you have read Even Salt Looks Like Sugar, please remember to leave a review if you’re feeling so obliged! Thanks so much!! As usual, your time and attention is most appreciated. Thanks so much Sally for the update! 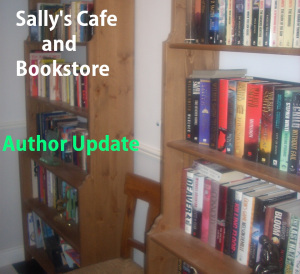 Guys, be sure to stop by Sally’s place for books updated from Alexis Rose, Sue Coletta, Barb Taub, K. D. Dowdall and myself. As you all know, I have been spending less time on social media and more time getting out into the community and networking with local Independent bookstores. I am doing this as part of my goal to try things out for myself and to be a witness to the experience so I know what works and what does not work. I am calling it My Bookstore Journey. Currently, I am working with three stores at the moment in the Atlanta-land area with one that has already stocked me on the shelves. I thought I’d share a little bit about why I am doing this. I am also using this as an excuse to update this blog (lol). Atlanta has been cold but this weekend was a beautiful one so I took advantage of it. The bookstore at the Martin Luther King, Jr. National Historical Site is currently reviewing my latest poetry release I am Soul. The store is next door to the MLK birth home and if they like my book we will see about getting it on the shelves if everything is everything. If I decide to go through with it, this will be a major milestone as the historical area brings major traffic, tourists, and city officials. 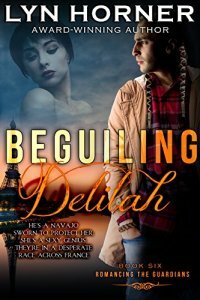 Yecheilyah is an author, blogger and poet. Be sure to pick up your copy of I am Soul, her latest collection of poetry on Amazon. Special thanks to Sally for featuring us in this wonderful update. Welcome to the first update of the week and we have two new books and new version of a very popular book which has just been lovingly remastered.